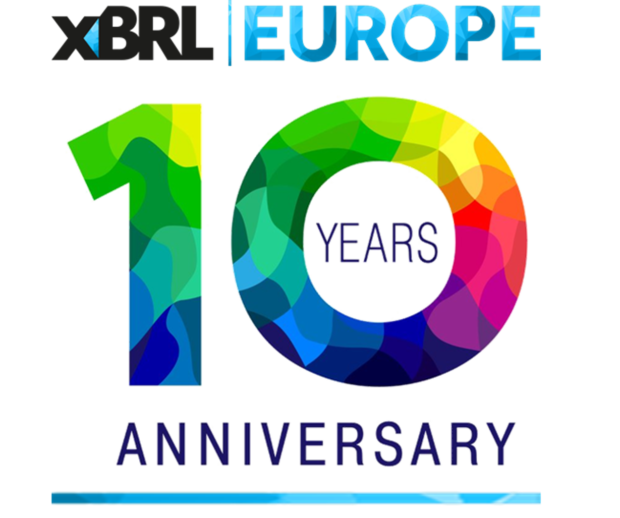 In 2018, XBRL Europe celebrates its 10th anniversary and proposes to you to let it know! Participate in our twitter contest and visit our FanShop! Celebrate on your t-shirt or mug, by choosing your favorite XBRL EUROPE 10th anniversary gift! Connect on the XBRL Europe FanShop in EUR or the XBRL Europe FanShop in GBP to select your favorite item, buy it, offer it and use it! On each item, a 20% profit is rewarded to our association. The XBRL Europe members and fans shop opened for XBRL Europe’s 10 years anniversary, with products in a related design, but will stay open after it, with new original designes, so do not hesitate to make it known! Celebrate on twitter, by participating to our #xbrleurope10 tweet contest! The twitter contest is now closed. This officially launched the tweet contest, with everyone being invited to retweet and complete the message. For the fun, the president and vice-presidents of XBRL Europe have chosen and read the best retweeted message : Pierre, who sent his first tweet ever speaking about #xbrleurope. For the prize, one amongst all the retweets has be impartially selected by our swiss-established judge TWrench. The selected tweeter was Lou.